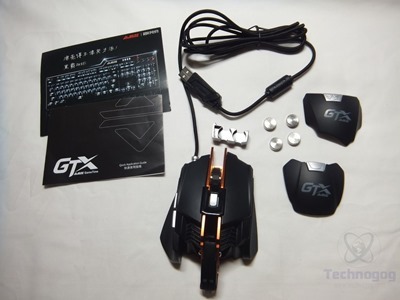 Once you get everything unpacked you’ll find the mouse, quick start guide, advertisement, weights, weight holder and two palm rests. 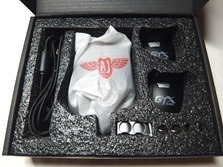 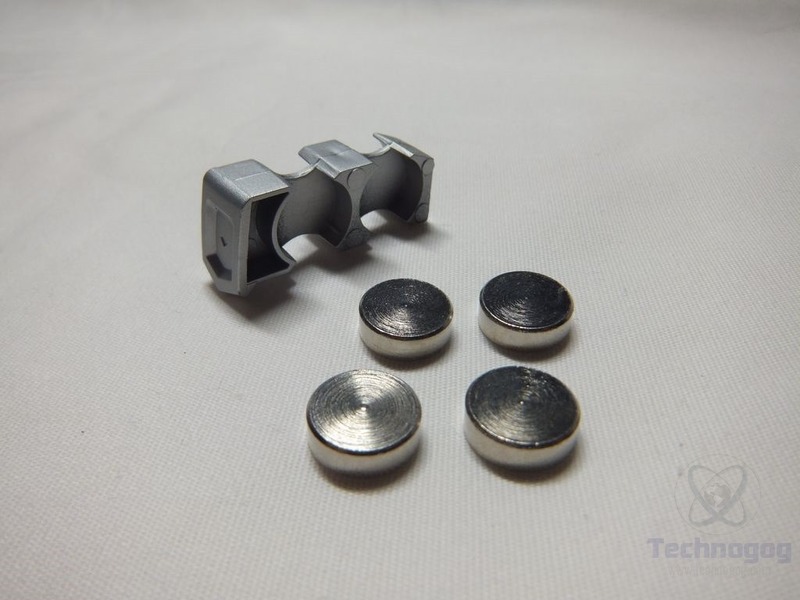 Included are four 5 gram weights and a holder which slips into the mouse. 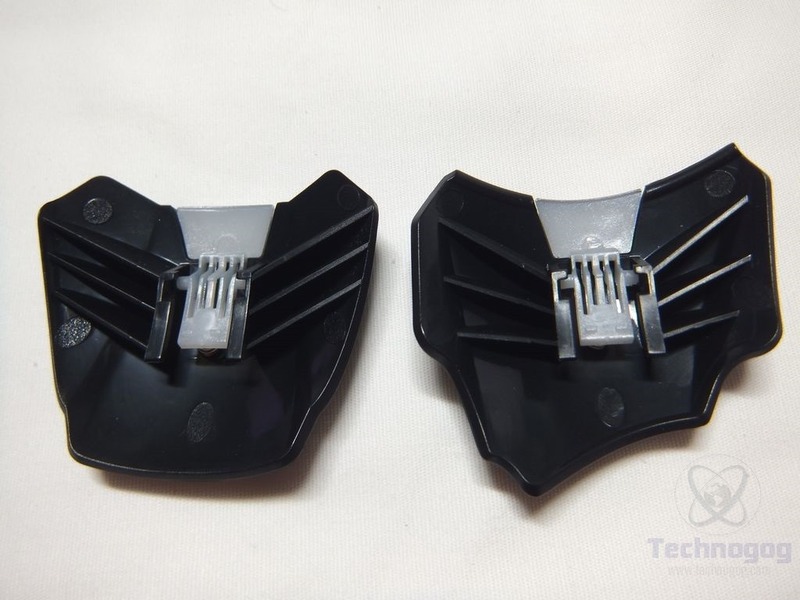 There are two backs included with the mouse, these would be the palm rests, one is shaped normal while the other is cut-out at an angle. They clip onto the mouse and can actually be adjusted. 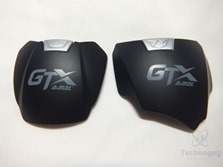 The Ajazz GTX mouse is certainly interesting looking, the first thing you’ll notice is that it’s missing the back, you’ll need to select one and put it on. 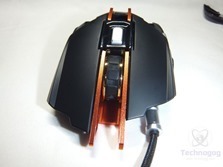 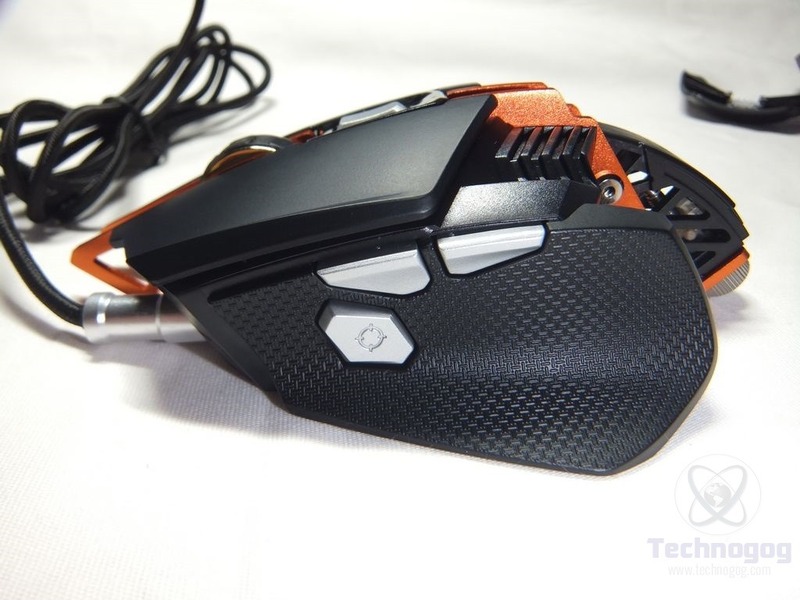 The mouse is made from plastic and aluminum so it’s sturdy and feel well made and the black and orange color combination looks good too. The mouse is split at the front where the mouse wheel is and it is rubber coated for grip. 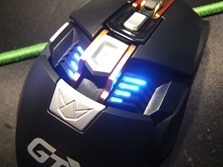 Behind the wheel is the DPI switch button to cycle through the four DPI levels. The weight pack slips in right behind the DPI button on the mouse. The right and left sides of the mouse are textured with a carbon fiber pattern which I like and they’re shaped to conform to your fingers. The left side has three buttons, two are the standard back and forward and then one that has a crosshair on it which is default set at triple-click for gaming, or you can use it to open folders etc in Windows. 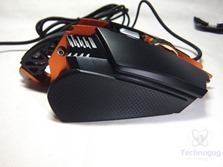 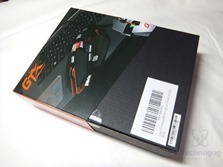 The grips work very well, I can easily hold onto the mouse thanks to them and I like the ergonomic shape of them. 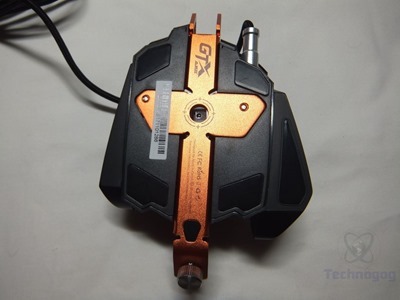 The bottom of the mouse shows the rest of the orange anodized aluminum frame along with the Avago A3050 sensor and the mouse feet. 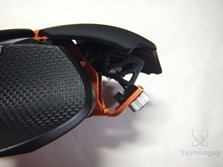 There are five feet, four large ones and one tiny one at the back mounted on the orange section. 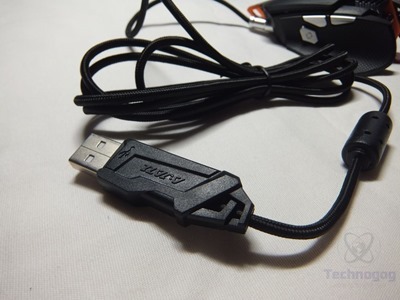 The mouse cable is braided and it’s 1.6 meters or a little over five feet long and ends in a USB connection. 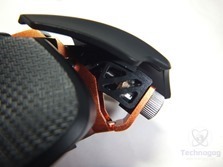 The palm rest just clips onto the mouse and snaps into place. 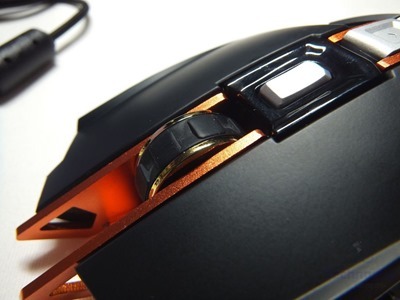 There’s a silver or gray plastic button that unlocks it if you want to change the rest out for the other one. The rest itself can be adjusted vertically using the thumb screw that’s located under it. 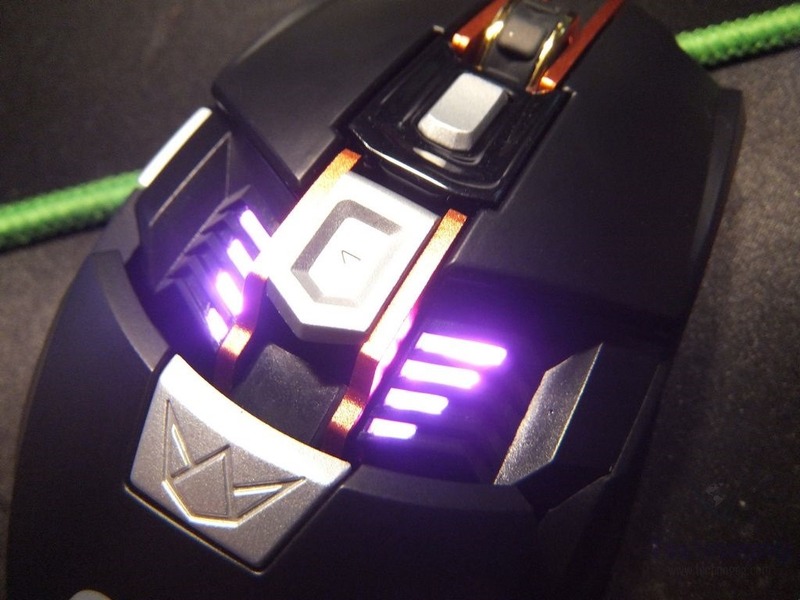 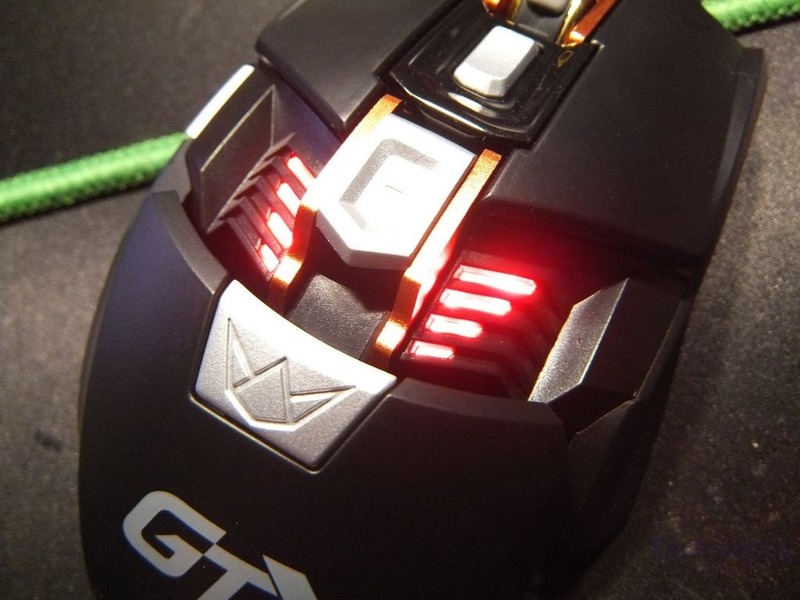 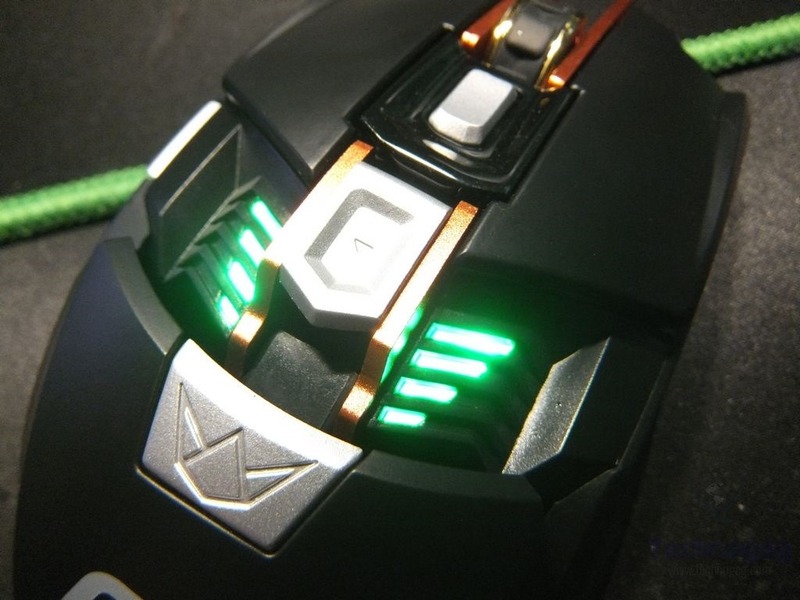 The GTX mouse has LEDs behind the buttons, these are to indicate the DPI level the mouse is in by color reference. 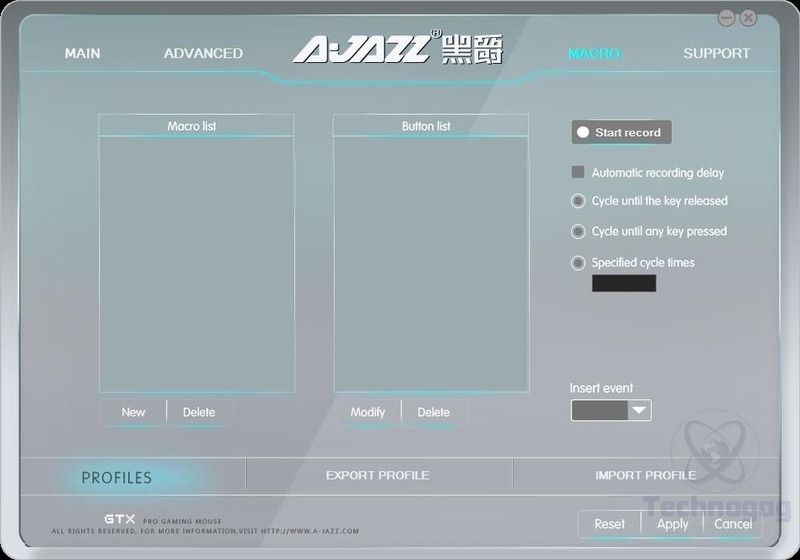 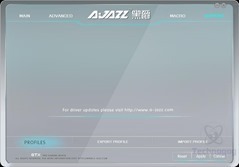 You can though change the colors if you want via the software that you can download from the Ajazz website along with other settings. 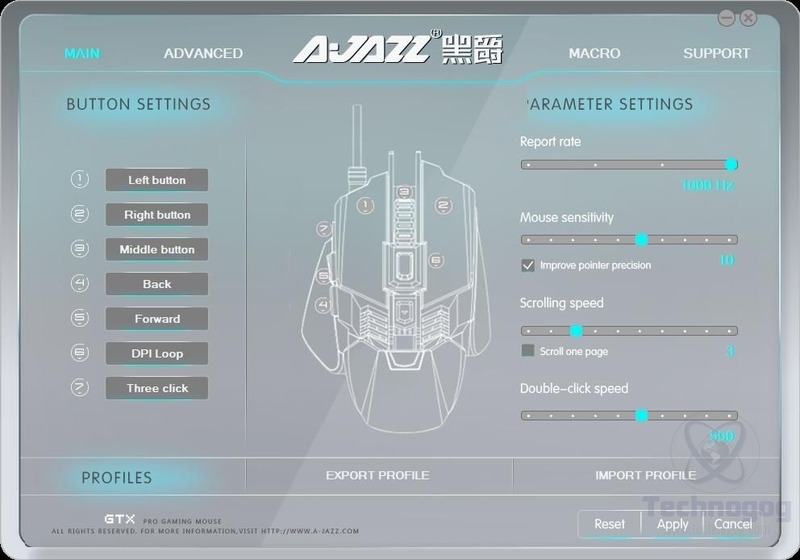 The Main tab has options to change what all the buttons do along with choices for report rate, mouse sensitivity, scroll speed and double-click speed settings. 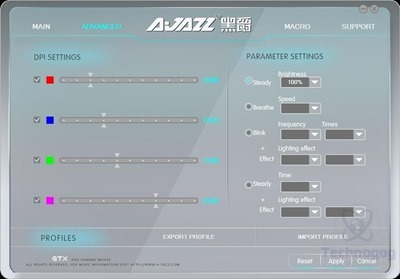 In the Advanced setting you can change the DPI settings for each level and you can change the color for each one as well along with setting brightness and how they are displayed. 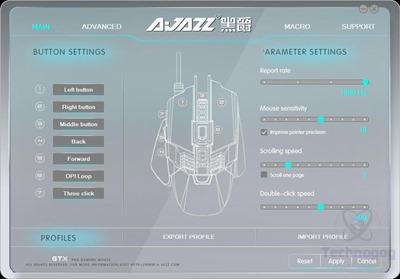 The default DPI settings are 1000, 2000, 3000, and 4000, changing with each button press. 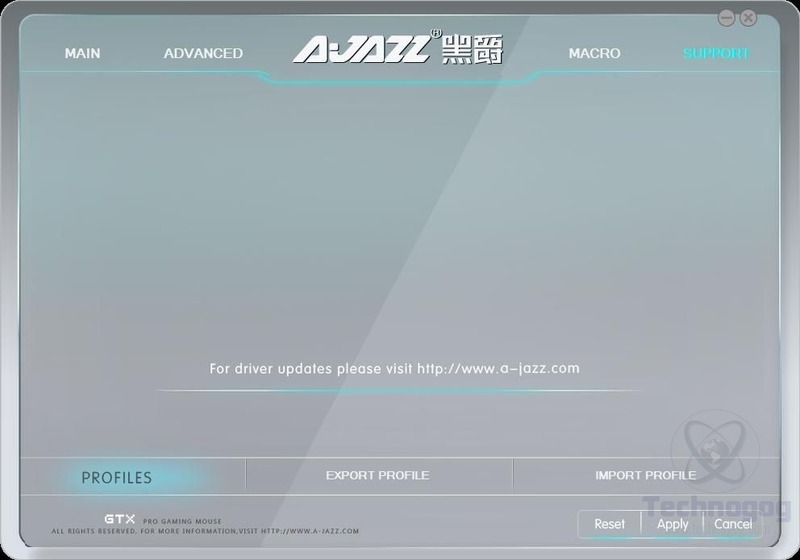 The last two tabs are for setting the Macros and then for support with just a link to the Ajazz website to download the drivers. I personally don’t use macros in gaming, but you can program your own easily through the interface. 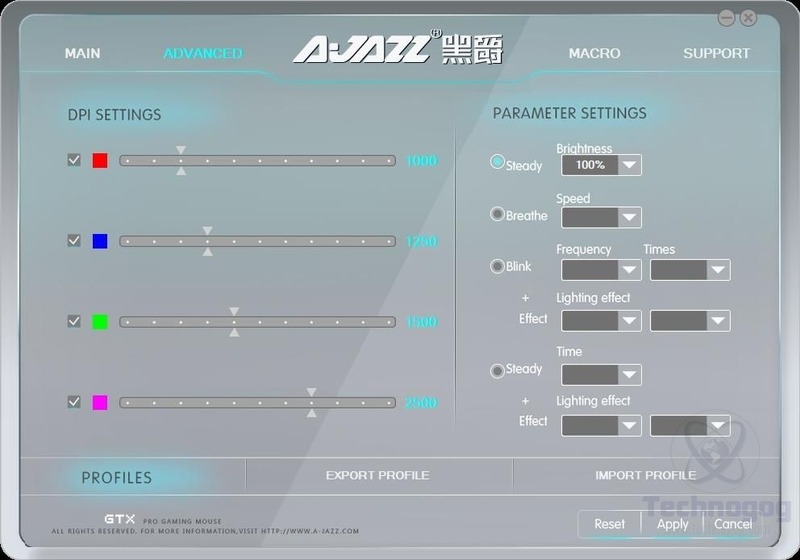 I’ve been using the Ajazz GTX mouse for basic everyday use and for gaming and it’s fine for all of it. 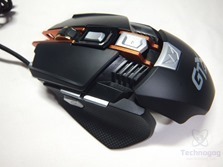 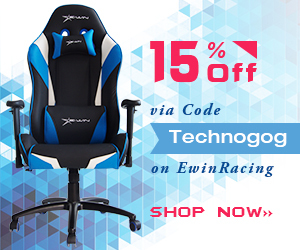 The mouse is comfortable to use and the buttons seem to work well for the most part. 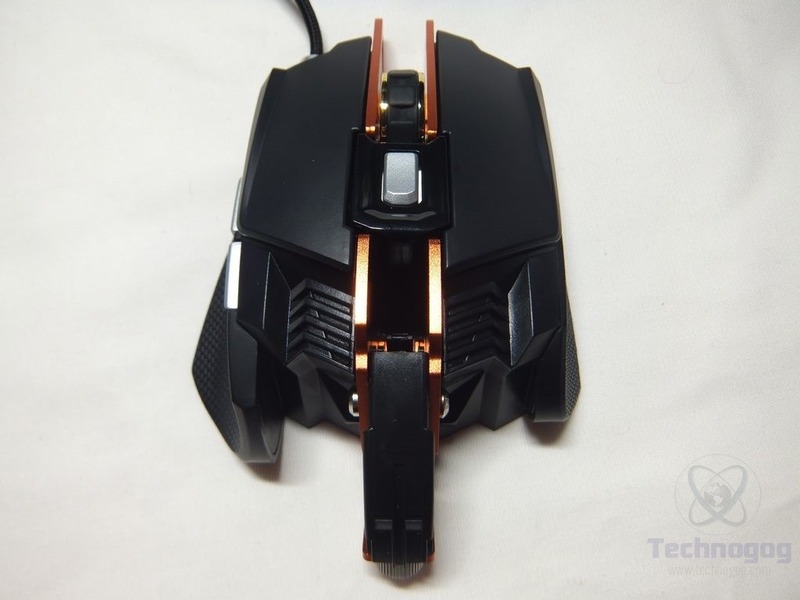 What I mean by that is they take a bit to get accustomed to as it seems like the left click requires slightly more force than I’m used to with my old mouse, but it does work fine though. The sensor seems to work fine, no issues there, fast or slow the pointer went where I wanted it to go. 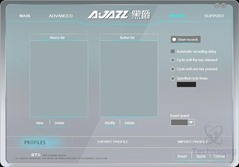 The software is easy to use and I like that you can customize the LED color and patterns with it along with plenty of other settings. 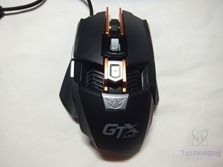 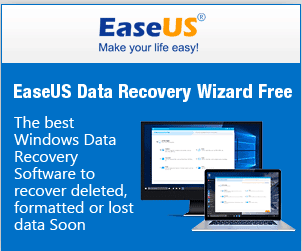 You don’t have to install the software if you don’t want to though, the mouse works fine without it, but to get the most out of it you’ll want to. 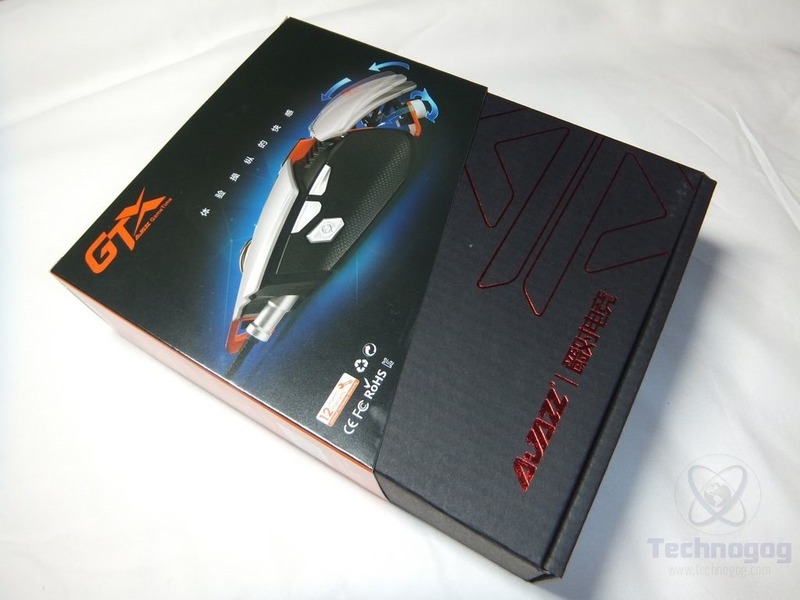 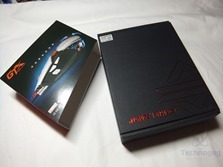 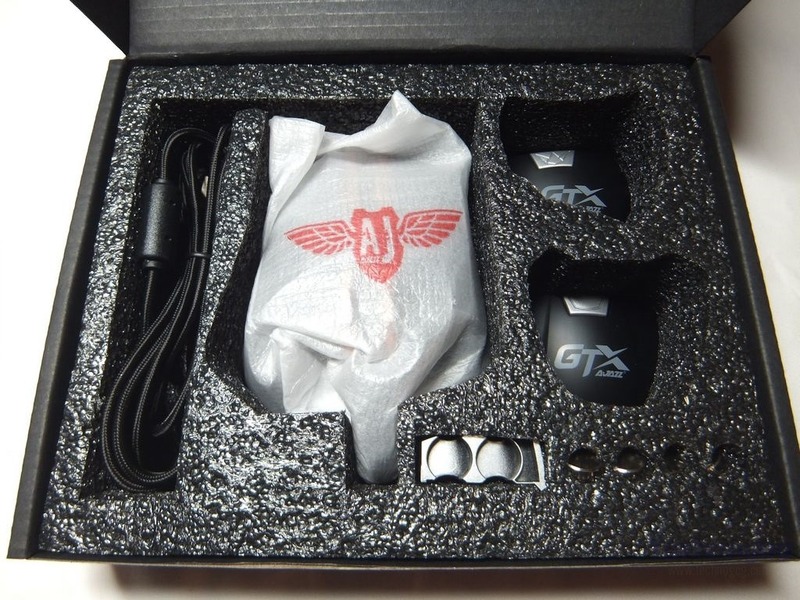 For the price I think the Ajazz GTX mouse is well worth it, it’s easily comparable to more expensive mice in terms of quality and what comes with it.